It was on a brisk autumn morning in 2017 amidst the breathtaking Rocky Mountains in Denver, CO when it hit me. Change is afoot. I was at the site of U.S. DOE’s Solar Decathlon. 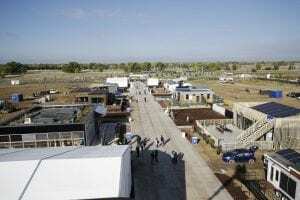 The Solar Decathlon is an international inter-collegiate competition that challenges student teams to design and build full-sized solar-powered houses to be part of a temporary microgrid installation. As I watched the teams hard at work constructing and testing their designs, I saw a palpable materialization of our generation’s attempt to take on the grand challenge of environmentally friendly energy sufficiency. It is undeniable that we are facing an unprecedented growth in the demand for energy globally. As we become more adept at meeting these demands, affordability and accessibility of energy are the two most crucial pillars of the decision-making process in the energy industry. 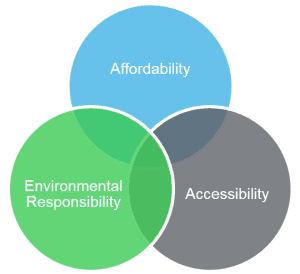 Yet many thought leaders argue that there is a third pillar that is equally crucial as we make future energy decisions – environmental responsibility. 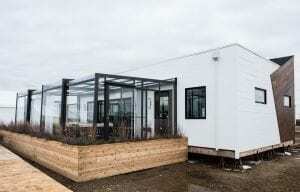 The Solar Decathlon throws the gauntlet down at the feet of the future decision makers: students across the world. Teams of students and professors spend almost a year creating their designs and preparing for the competition. Then, towards the end of September, the teams are invited on site and given ten days to build their fully functional solar-powered houses. These are then judged based on ten criteria: architecture, market potential, engineering, communications, innovation, water efficiency, health and comfort, appliances, home life, and energy usage. Check out the online gallery for some inspiring photos of some of these designs. The team that best blends innovation and efficiency in their design wins the competition. They take home a sweet cash prize, and of course, major bragging rights. It is a matter of immense pride to me that Schneider Electric has been providing engineering support for this important event since 2009. 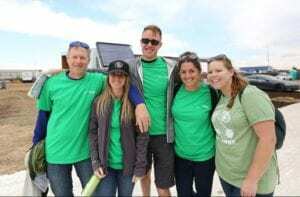 Schneider’s technical team helps design the interconnection between the student-designed solar-powered houses and the utility service. The goal is to establish a safe and reliable microgrid. So, I was absolutely ecstatic when I was asked to lead this technical team in 2017. My involvement with this effort began in 2015, when I was invited to be part of the technical team by one of my mentors at Schneider Electric, Van Wagner. My passion for microgrids and renewable energy was recognized! The fact that I was given this exciting opportunity is a testament of Schneider’s commitment to its employees’ fulfillment. As the technical lead in 2017, I was responsible for designing the interconnection between the utility and the solar village for the microgrid. This interconnection would enable the houses to seamlessly draw power from the grid when the power generated by their solar panels was insufficient to meet electrical demands (say, on cloudy days or at night). It would also supply back to the grid when the panels produced power in excess (say, on sunny days). I began the design process by having several discussions with the utility company, the organizing committee, and the contractors. These conversations helped me identify the design parameters for the event. I then worked on producing the design for the interconnect according to these requirements while simultaneously meeting the National Electrical Code. My main goal through this process was to ensure an operational, reliable, and most importantly, safe electrical system for everyone involved. Once a rough design was in place, the next crucial step was to perform an exhaustive analysis on the designed system to test and modify its behavior in any eventuality of minor or catastrophic failures. If a failure were to occur, this finalized design was equipped to ensure both a) safety of all equipment and people involved, and b) minimal interruption to the Solar Decathlon event. As the final step, I translated the design into engineering drawings that could be used for deployment in the field. It was surreal to see my design implemented in the field and know that it helped enable this fantastic event. The competition began smoothly, and although the houses faced some hiccups due to unforeseen snowfall, the teams ‘powered’ through making the event a fantastic success. It served as a showcase of the latest technologies in renewable energy and sustainable buildings. More importantly, it educated, inspired, and connected thousands of students and visitors who were driven by this mission of environmentally friendly energy independence. I am proud of the part I played in giving the attendees an experience of a lifetime. I am also grateful to Schneider for giving me this opportunity, and my mentors Van Wagner, Keith Roberston, and Donn Morris, for their support throughout the process. You can read more about Schneider’s involvement with this event in Kevin’s blog post. My biggest motivation for working in the energy industry is to be able to work on technically challenging problems that also have a broad impact on the world. I couldn’t have chosen a more supportive environment than Schneider Electric. A couple of years ago, I helped initiate the U.S. Power System Engineering team’s international arc-flash effort. Today, I co-lead this effort by providing technical support to Schneider Electric entities globally to help them produce high quality arc-flash analyses for their customers. It is gratifying to know that I am actively working towards helping facilities world-wide make their electrical systems safer and more reliable, especially in countries that are yet to establish safe electrical work practices to avoid life-threatening arc-flash hazards. Over the years, I have also worked on producing technical data bulletins and whitepapers for scholarly and technical dissemination. 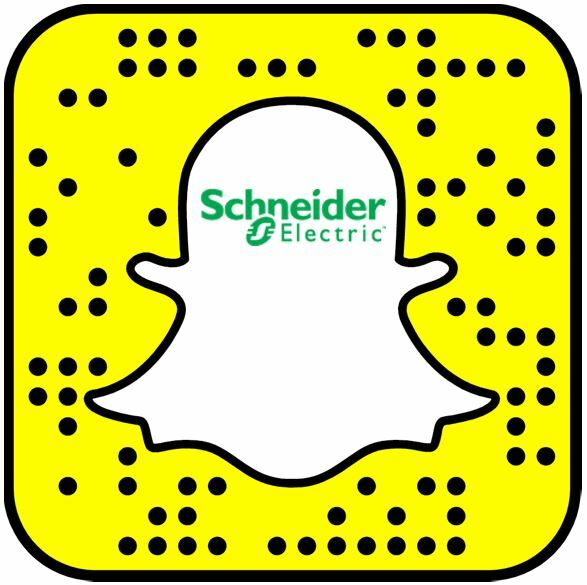 These are only a sample of how Schneider Electric empowers its engineers to make an impact on the world and change the status quo of the energy industry, all the while working with fascinating, driven, and inspiring colleagues! Jyo Chandrapati received her B.Tech. degree in Electrical Engineering from V.J.T.I., Mumbai, India in 2008, and her M.S. in Electrical Engineering, specializing in Power and Energy Systems, from University of Wisconsin – Madison in 2010. She also completed the Energy Analysis and Policy certificate program from The Nelson Institute for Environmental Studies at University of Wisconsin – Madison in 2010, and the Leadership & Decision-making in the Energy Industry certificate course from Rice University in 2018. 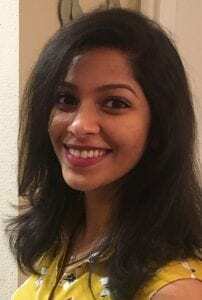 Ms. Chandrapati joined Schneider Electric in 2010 and is currently a Sr. Power Systems Engineer in the Engineering Services division. She is a Professional Engineer licensed in the states of Wisconsin, Maine, and Vermont. Have a passion for energy & sustainability? Join us!